Excellence in the arts is a hallmark of a leading public university. 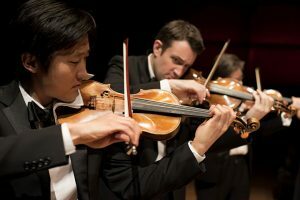 Currently in its 21st season, the UGA Performing Arts Center brings world-renowned performers to Athens for the benefit of the campus and community. is essential to maintain the priorities below. Help the largest presence of the Chamber Music Society of Lincoln Center outside New York City by supporting chamber music’s important presence and tradition on the UGA campus. Did you know that even a sold-out house doesn’t fully cover the cost of a performance at the Performing Arts Center? Invest in the great performances that enrich the lives of audience members each season. 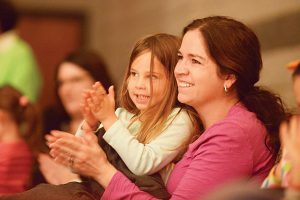 Help us provide arts education experiences from the world-class artists who perform at the PAC for all students, young and old. Want to contribute to a different fund at the Performing Arts Center? Go to our donation page or visit the Performing Arts Center site. For more information, please contact Caitlin Murray Hubbard at (706) 542-4400 or PACdevelopment@uga.edu.